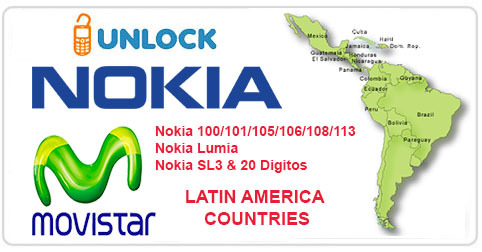 Today we have added a new exclusive service to Unlock Nokia locked by Cricket USA. Our supplier will deliver unlock code for any Nokia from this Network in less than 4 business days. 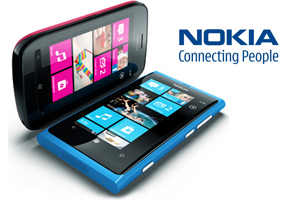 This service support any Nokia Lumia from Cricket USA including but not limited to: Nokia Lumia 520, 530, 620, 630, 635, 1320. 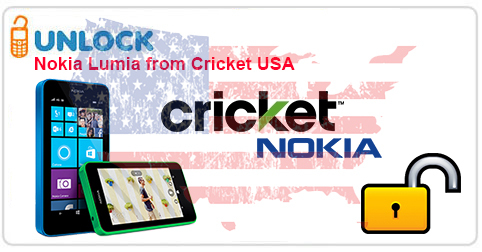 Unlock Nokia Lumia from Cricket USA by Code today with UnlockBase, all we need is the IMEI of your Nokia Lumia ! 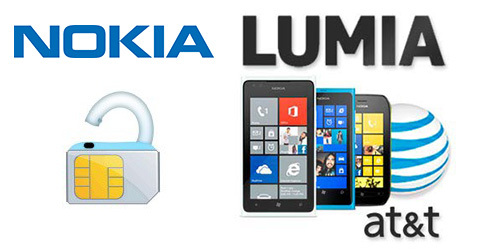 Starting today we offer not less than five services to get the Unlock Code of your Nokia Lumia locked on AT&T USA. However you can split these five services into two if you only look at the features & supported models. Then it’s purely about “Turnaround of Delivery” between each services. Supported Models: Nokia Lumia 520 (IMEI 356696.05.XXXXXXX), 635, 820, 900, 920, 925, 1020 & 1520 model. Do not purchase this option if your model not listed here. Make sure your phone is not hardlock, there is no refund for hardlock Lumia. This service have a 95% successful unlocked rate from America Supplier for Clean IMEI. Supported Models: Simply all AT&T Lumia Model. Lumia 520 all IMEI including IMEI starting with 353045 & IMEI starting 359208, Lumia 635 IMEI starting 353047, Lumia 820, Lumia 900, Lumia 920 all IMEI including IMEI starting 354149, Lumia 925 IMEI starting 357260, Lumia 1020 and Lumia 1520 IMEI starting 358341 model. This is exclusive service from us. Make sure your phone is not hardlock, there is no refund for hardlock Lumia. You can check pricing & turnaround of delivery in our Wholesale Unlock Pricing page. We’re happy to inform our customers that the Nokia Lumia 1020 from AT&T USA is now supported for Unlock by Code. We only need the IMEI to provide the Unlock Code in less than 24 Hours ! 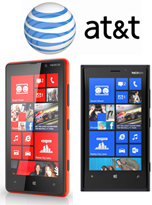 At the same time we also reduced the price of the service to Unlock all Nokia Lumia from AT&T USA ! We’re pleased to introduce four new service to Unlock Nokia Lumia (610, 710, 800, 900) from O2, T-Mobile, Orange and Vodafone United Kingdom by Code just with the IMEI. When you order it’s very important to select the correct name of the Original Network Provider (Supplier is very strict with that). Turnaround for Delivery: 1<>7 working days.